If it came down to a grand staff popularity contest, the treble staff would win, hands down. There is not a lot of love lost for the poor old bass staff. 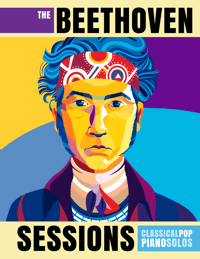 Because of this, few piano students read bass staff notes as well as they read treble staff notes. 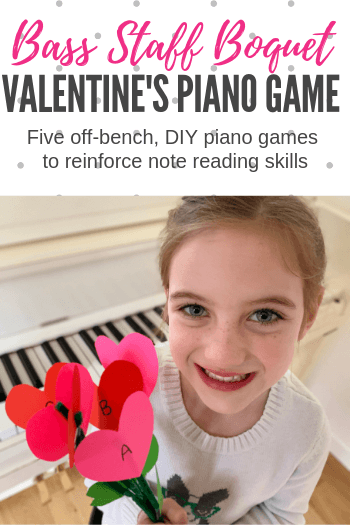 So, this Valentine’s Day (or week) we want to help your piano students find some love for those poor notes that live below Middle C.
With the help of some DIY note reading roses and the 5 games below, your piano students will forget that they ever feared the notes on the bass staff! Place the vase on top of the piano or on a table beside the piano and then open your student’s piano book to a piece she is playing. Give your student the flowers to hold in her hands. Next, point to any bass staff note in her music. Instruct your student to find a flower with the note name that matches the note in her music and then place that flower in the vase. Keep playing until the vase is holding a bouquet of five flowers. Place the vase on top of the piano or on a table beside the piano and then give your piano student the flowers to hold. 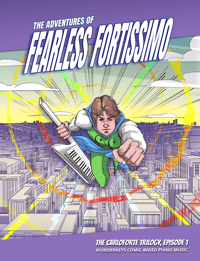 Next, play a key on the piano whose corresponding note is found above Bass C on the bass staff. Instruct your student to place two flowers into the vase; one that has a note name that matches the key played and another that has a note name that matches the key that is a skip above the key that was played. In this game, you will be the customer and your student will be the florist. Place the vase in your hands and the flowers in your student’s hands. Instruct your student to close her eyes. Next, on the piano, place five dice on five keys that correspond to notes on the bass staff. 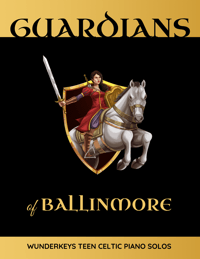 Have your student open his eyes, examine the marked keys on the piano, find her flowers that correspond to the marked keys, and then place his flowers into your vase. On seven post-it notes, draw seven note images on bass staves (one note per post-it) that match the note names on the flowers. Stick the seven post-it notes to seven cups. Arrange the cups on the floor or on a table. Mix up the flowers and then hand them to your piano student. Set a timer and then instruct your piano student to place every flower in its corresponding “vase” (cup). 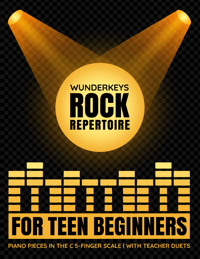 Sit at a table with your student, her music book, a red pencil crayon and the vase of flowers. Open your student’s music book to a piece she has played in the past (one that can be colored on). Pick a flower from the vase and show it to your student. Instruct your student to examine her piece of music and draw a red heart above every note image that matches the note name on the flower. 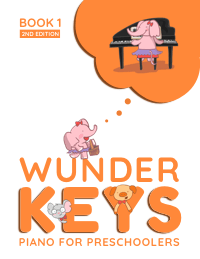 If you’re looking for more Valentine’s fun, we have more printables that will thrill your students over at TeachPianoToday’s WunderKeys website. Hop on over here where you will find Valentine’s Day photo props, piano practice cards, lesson assignment sheets, piano games and printables. 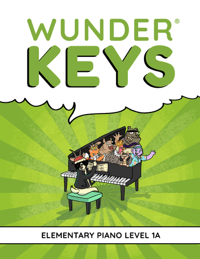 And while you’re over there don’t forget to check out our newest method book WunderKeys Elementary Piano Level 1A. 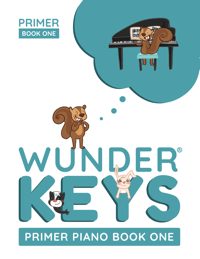 This follow up to our WunderKeys Primer Series is a #1 New Release on Amazon and is getting rave reviews from teachers.